When Karen suggested we host giveaways for our Doctor Who Week extravaganza, I thought for a while about what I wanted to do. I wanted it to be fun. I wanted it to be unique. Most of all, though, I wanted it to celebrate some independent businesses run by amazing Geeky Ladies. 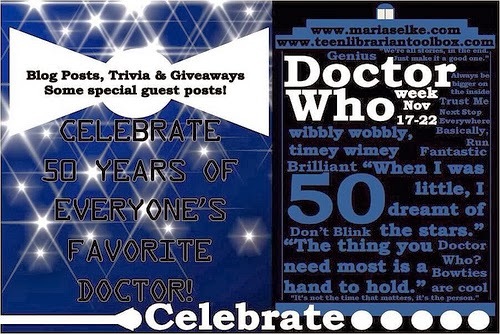 What I have for you is a fun selection of small Doctor Who themed prizes. 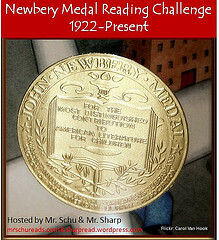 The winner will get all of the things in these two photos. then stick around to check out her other items! Click here to visit her sale page - 20% off through December 1st! 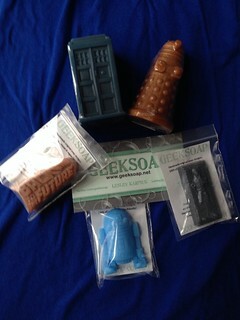 The soaps are from Geeksoap - and they are quite a treat! 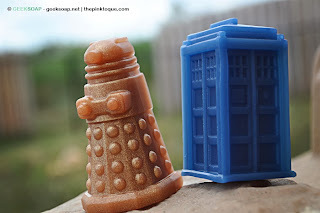 When I ordered the Dalek and Tardis soaps for the giveaway, Leslie threw in some extra SciFi soaps to sweeten the pot. 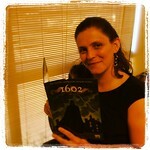 Be sure to visit her page for some great ideas for holiday presents. 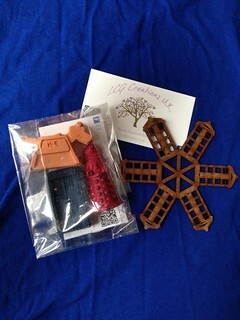 You'll also receive this TARDIS coaster and three Doctor Who shaped crayons. LCG Creations is a company that focuses on handmade items with a geeky flair. She has some amazing purses, bags, pillows and other sewn surprises. Be sure to visit my second giveaway (open internationally) to win a small purse made by this great shop!